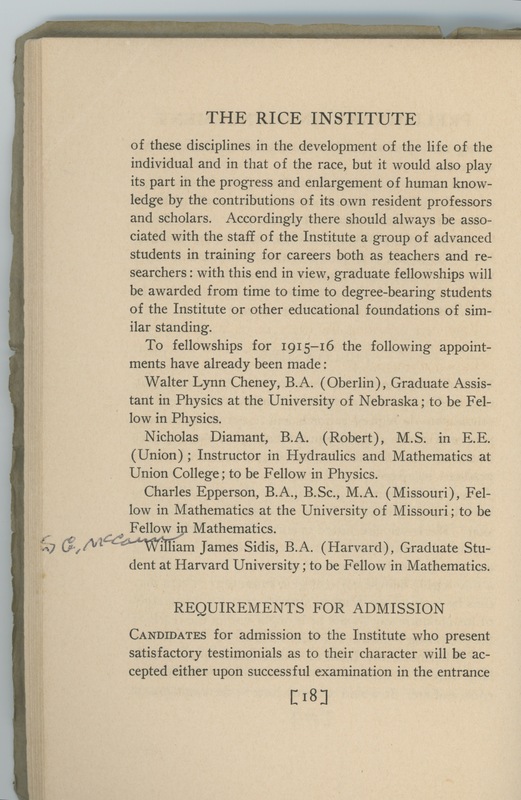 I mentioned the other day that when I was looking for the location of the physics lab I consulted the 1915 General Announcements. I have a complete set in my office at home so all I had to do was go over to the shelf and pull one down. When I did I noticed that the previous owner had put his name on the front cover: S. G. McCann. McCann was an integral part of Rice for many decades and I was surprised to discover that I’ve never talked about him here before. 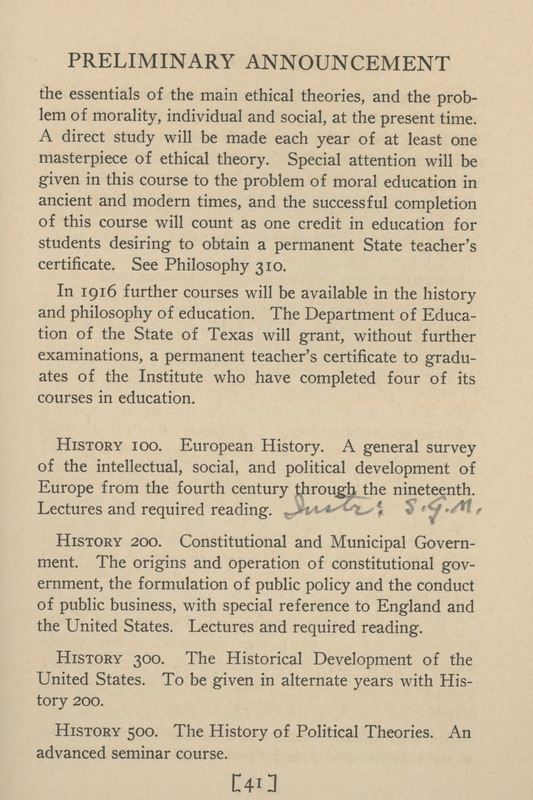 He came to the Institute in 1915 and was the first person to hold a teaching fellowship in History, the first person to get a graduate degree in History, the first to hold the rank of instructor in History and in Jurisprudence. 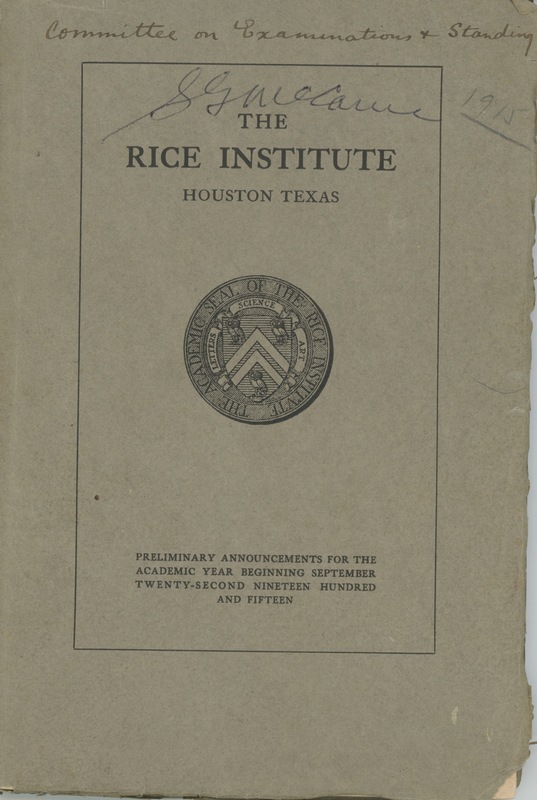 He served as Rice’s first Registrar from 1919 to 1954 and the first Director of Admissions from 1954 until his retirement in 1958. He was a founder of the Alumni Association as well as its first president, then was secretary for six years. 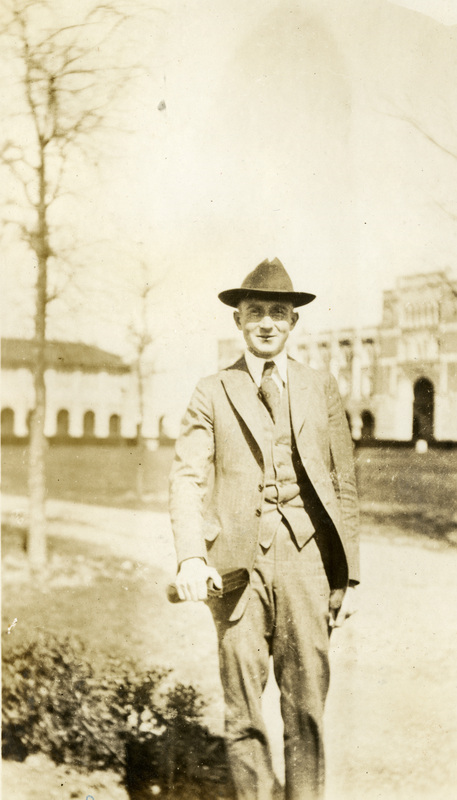 It was McCann who organized the first reunion, the one that was held on Thanksgiving Day, 1919. He seems to have been nearly universally beloved. I’m not sure exactly why but this makes my usually Grinchy heart swell with hope, as if Spring were almost here. I’ll say a little bit more about McCann later. Always amused by Registrar McCann and Bursar McCants. I’m amused to see William James Sidis listed there, right below where McCann has added himself.